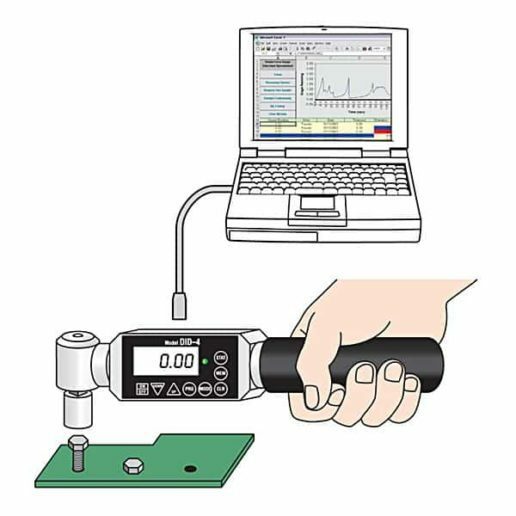 SW-1SV-USB Torque Data Acquisition Software is a highly customized Excel spreadsheet specifically designed for capturing and analyzing peak and first peak data from torque testers with either RS-232 or USB ports. SW-1SV-USB captures peak torque or first peak readings and provides a running log of all torque measurements along with a chart of the data as well as statistical information including Min, Max, Mean, Median, Standard Deviation, Average Deviation and Variance. If desired, the entire stack can be saved to disk, analyzed or cleared. Because all data is entered directly into a standard Excel spreadsheet, you are virtually unlimited in your ability to analyze your torque tester data using all of the powerful tools available in Excel. Windows PC Software Requirements: Windows XP or later and Excel 2003 or later.